Identity theft or identity fraud (true name fraud) is the taking of the victim�s identity to obtain credit, credit cards from banks and retailers, steal money from the victim�s existing accounts, apply for loans, establish accounts with utility companies, rent an apartment, file bankruptcy or obtain a job using the victim�s name. The Impersonator steals thousands of dollars in the victim�s name without the victim even knowing about it for months or even years. 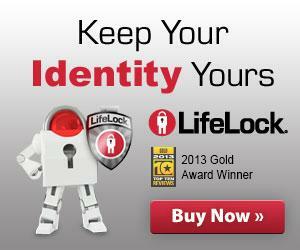 Recently criminals have been using the victim�s identity to commit crimes ranging form traffic infractions to felonies. It is easy. All that is needed is your social security number, your birth date and other identifying information such as your address and phone number and whatever else they can find out about you. With this information, and a false driver�s license with their own picture, they can begin the crime. They apply in person for instant credit, or through the mail by posing as you. They often provide an address of their own, claiming to have moved. Negligent credit grantors in their rush to issue credit do not verify information or addresses. So once the imposter opens the first account, they use this new account along with the other identifiers to add to their credibility. This facilitates the proliferation of the fraud. Now the thief is well on his/her way to getting rich and ruining your credit and good name. What if the police won�t take a report? Even if the creditor won�t prosecute, you must insist that the police take a report. Speak to the head of the fraud unit, (or white-collar crime unit) of the police department in the county(s) or cities where the fraud accounts were opened. (If accounts were opened all over the nation, you may be able to get the secret service involved) You will need a report to clean up the credit mess. No. Since your credit worthiness is shaky due to the fraud, you will probably have a hard time getting new credit in the near future. If you have stopped your credit, you may have trouble getting loans, a rental car, or even a job. Instead, for those accounts that have not be touched by the impersonator, immediately notify each credit grantor of your true accounts, that you are a victim of identity fraud. Set up a new password Put a fraud alert on these accounts and tell the bank that they are not to change your address without verification from you in writing from your present address. Do not use a password with your birth date, mother�s maiden name, or any of your present identifiers-not even your pet�s name. Make up a strange name and use the same one for all accounts so you do not get confused. You can dispute inaccurate items with the source of the information. If you tell anyone � such as a creditor who reports to a CRA -- that you dispute an item, they may not then report the information to a CRA without including a notice of your dispute. In addition, once you've notified the source of the error in writing, it may not continue to report the information if it is, in fact, an error. 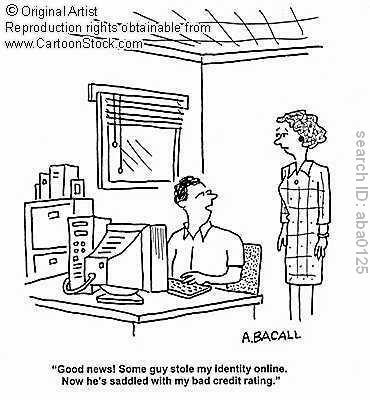 Identity Theft is a crime in which an impostor obtains key pieces of personal identifying information (PII) such as Social Security numbers and driver's license numbers and uses them for their own personal gain. This is called ID Theft. It can start with lost or stolen wallets, pilfered mail, a data breach, computer virus, phishing, a scam, or paper documents thrown out by you or a business (dumpster diving). This crime varies widely, and can include check fraud, credit card fraud, financial identity theft, criminal identity theft, governmental identity theft, and medical identity theft. PITTSBURG, Kan. — Six months after Pittsburg State University employee Rebecca Viney was the target of identity theft, she said she now feels as if her case has been forgotten. Police say they have identified a suspect who has confessed, but the county attorney’s office said recently that it cannot locate any of the Police Department’s information, leaving Viney, an administrative assistant to the dean in the Kelce College of Business, frustrated. According to Lt. Henry Krantz, Pittsburg police assigned a detective to the case after Viney learned that she had been the victim of identity theft. Because the suspect has not been arrested or formally charged, his identity is not part of the public record. After concluding the investigation, Krantz said, his office sent its findings to the Crawford County attorney’s office. But, the county attorney’s office had been unable to locate its copy of the report through last week. A spokesman was unavailable for comment Tuesday. Razmi Tahirkheli, assistant county attorney, said last week that once the police send a report, it is entered into a computer database. Tahirkheli said that even if a victim decides not to press charges, the case still would be entered into the system. Pittsburg police records indicate that a copy of the investigation report was sent to the county attorney’s office on Dec. 5. Records also show that additional information for the case was sent on Dec. 20. “If they need another copy, we’ve got one right here,” Krantz said. All the confusion surrounding the report has left the victim in the dark. Viney said she intends to press civil charges if the county attorney decides not file criminal charges. Viney began receiving telephone and e-mail solicitations from credit card and mortgage companies last September. Viney said the bulk of the harassment has stopped, but her e-mail still is inundated with spam on a daily basis. If you have a story to share Contact Us and share it.